by Unknown – please let me know if you made it because I’d like to properly attribute it to you! 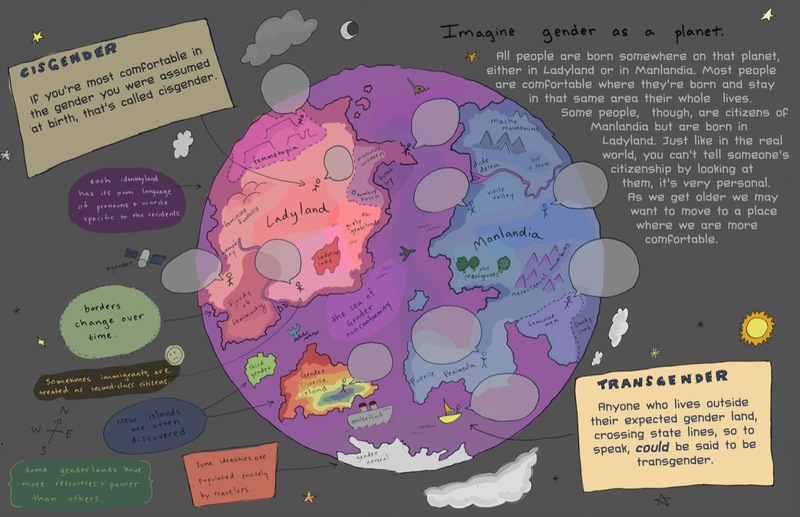 Map showing gender identities as a playful, cartoon globe. Main islands are Manlandia, Ladyland, Gender Neutral, Gender Diverse Island and Third Gender. There is a little boat labelled Gender Fluid, a satellite labelled Agender and a Sea of Gender Nonconformity.